Product prices and availability are accurate as of 2019-04-18 21:06:58 UTC and are subject to change. Any price and availability information displayed on http://www.amazon.com/ at the time of purchase will apply to the purchase of this product. 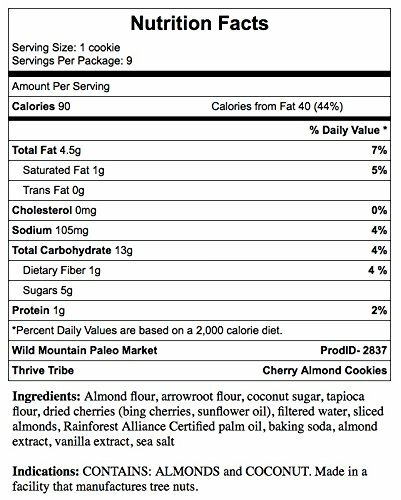 LESS IS MORE: Our Cookies are preservative-free and made in small batches with nothing artificial. 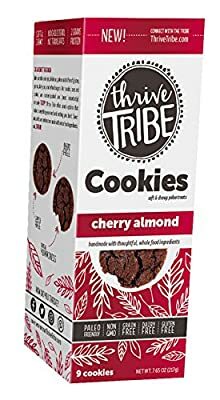 Soft and chewy paleo treats made handmade with thoughtful, whole food ingredients NO CHOLESTEROL • NO TRANS FATS • PALEO-FRIENDLY • PREBIOTIC FIBER •NON-GMO • GRAIN FREE • VEGAN APPROVED • DAIRY FREE • GLUTEN FREE Our Cookies are preservative-free and made in small batches with nothing artificial.